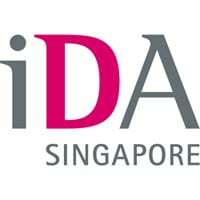 Singapore’s Infocomm Development Authority (IDA), the government agency tasked with implementing a national NFC infrastructure for Singapore, is demonstrating a number of “rich mobile NFC services” at the imbX tradeshow in Singapore. The demonstrations are designed to showcase how NFC can improve customers’ shopping experience at supermarkets and other retail stores — to the extent of even calling a cab to get them home afterwards. The ‘Smart Shopping’ demonstration, for instance, showcases an application that lets shoppers tap their iPhone — equipped with an iCarte NFC sleeve — on price tags to instantly see product details, buyer reviews and any special offers or discounts on the phone’s screen. The customer can then add items to a mobile shopping cart on the phone, and have them delivered to their home on a specified schedule. The Smart Shopping app also allows the shopper to select a card from the phone’s digital wallet and pay for their purchases by tapping a reader integrated into the cash register. The shopping cart details, payment card, delivery address and dates are then processed and a receipt is displayed, along with relevant loyalty points and discount coupons generated by the transaction. The application also features a taxi booking feature, to pick up the shopper at their current location.